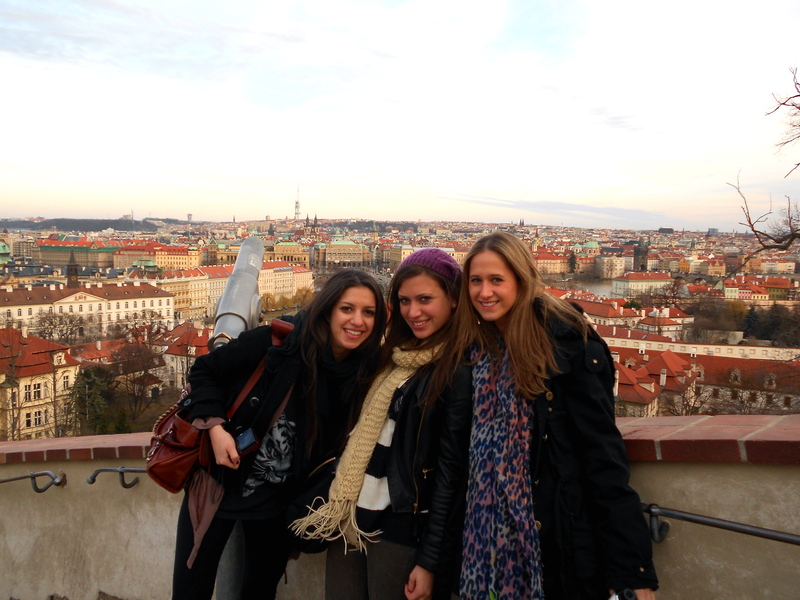 Prague was great! There is so much history. It was beautiful and the weather was perfect. I was nervous about the weather because my friends have said it has hit below zero in the past few weeks, but it was 50 degrees and sunny the entire time. Right when we got there, we immediately went to lunch because we were so hungry. We went to this place called Bakeshop. It had everything. I got a salad and half a sandwich. This is where I discovered how bizarre crowns are. It is so hard to make the exchange from euros. 1,000 crowns= 50 dollars. It is crazy walking around with a bill that says 2,000 on it. Afterwards, we went to the Charles Bridge and the astronomical clock. It is located in the old town square. It dates back to 1410. This is the oldest astronomical clock still working. 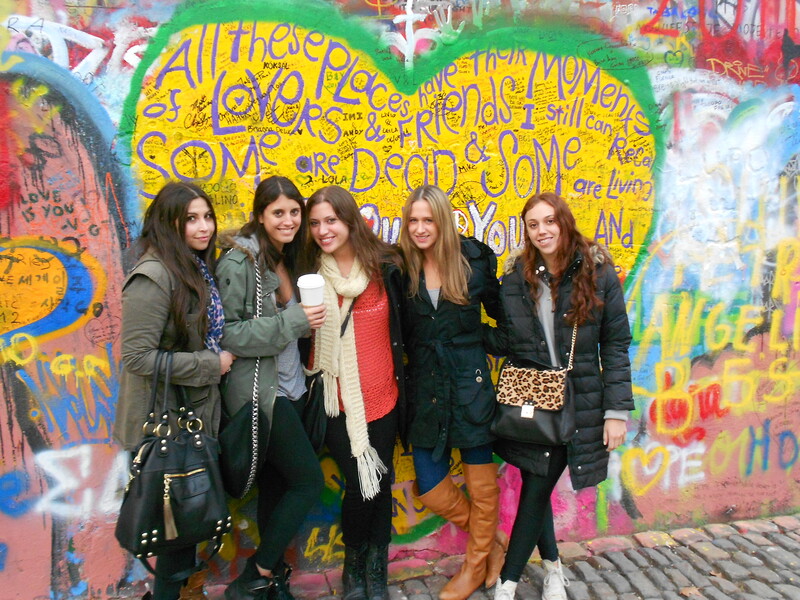 We also hiked up to the Prague castle and went to the John Lennon wall. The John Lennon wall was really cool. It is a huge wall with all of this graffiti. It was started when Lennon died. People paid their condolences by writing Beatles lyrics etc. Now, anyone can paint on it. I wrote my dad’s name on it, which was comforting. We also went to the Jewish quarter (Josefov). I saw the old jewish cemetery. It is the oldest surviving Jewish cemetery in Europe. We saw the Pinkas Synagogue. This is now used as a memorial for Holocaust victims. Our last stop was the Jewish Town Hall (rococo hall). At night, we went to this 5 story club called Karlovy Lazne. Each floor played a different genre of music. The first floor is called the music cafe. It is designed in the style of “main flow.” People can surf the net on this floor. The next floor up is the discotheque. This floor is all electornic music. There are sick lights and sound effects. There is a 5m x 2m video wall and an interactive wall, laser statues, hypercube and other cool effects. The next floor up is kaleidoscope. It is devoted to ageless oldies. We spent the most time on this floor. We danced the night away to the tunes of The Beach Boys and Madonna. The 4th floor is paradogs. This is the R’N’B and hip hope floor. The last floor is the chill out. There are huge gold couches where you can just lounge and sit back, drink, and relax. We late night ate cheese balls. Everyone says that when you go to Prague, you have to eat one of these. It was really good, but was a little overrated in my book. I could definitely see myself studying abroad here. The city is beautiful and there are so many sights to see. The nightlife is crazy, too. 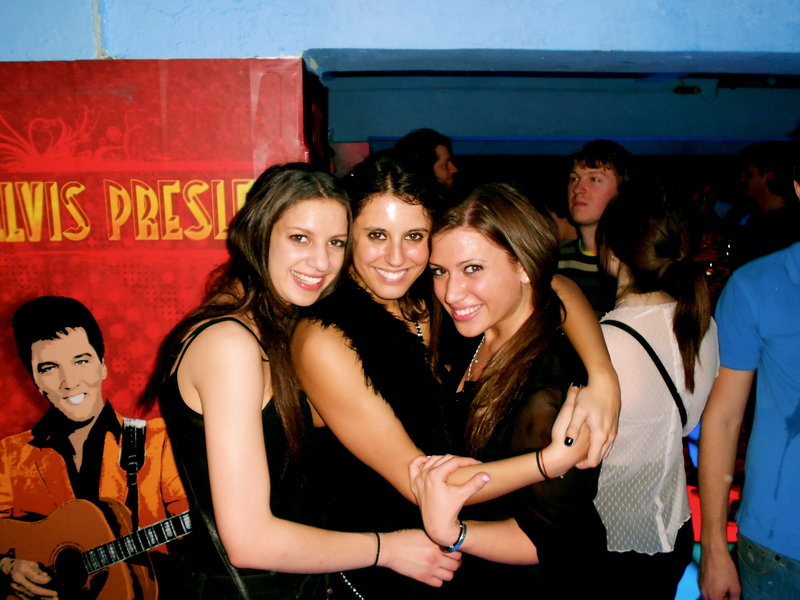 I met a ton of people and overall, it was one of my favorite weekends while studying abroad.